Placed in the garden, the bar table designed by Ronan & Erwan Bouroullec serves as a place for reception on festive occasions or cosy barbecues, where a welcome drink and a small snack can be served. Thanks to its graphic design, the table also comes into its own in outdoor areas of public bars. The base of the 105 cm high table is conically shaped - hence the name - and has a concrete core that ensures stability when it gets windy. The base is complemented by a round, ultra-thin tabletop with a diameter of 60 cm, creating a harmonious, geometric overall appearance. A special glaze on the powder-coated steel protects the material from the weather, making the Palissade Cone bar table ideal for outdoor use. The table is available in various colours, as well as in a bistro and bar table version. 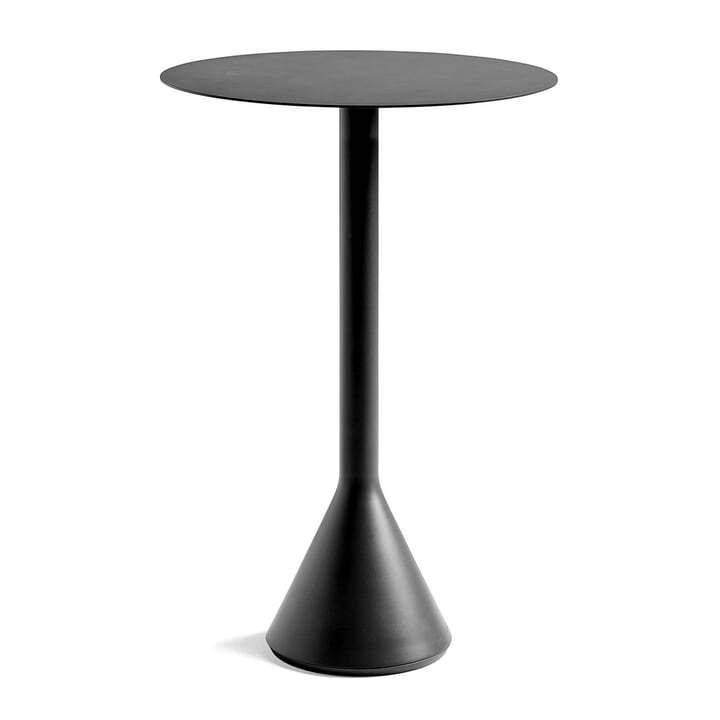 Isolated product image of the Hay - Palissade Cone Table: The Palissade Cone table with a diameter of 60 m and a height of 105 cm by Ronan & Erwan Bouroullec for Hay in anthracite.